Having dominated against Bangladesh, India, and Pakistan, South Africa would have thought that Sri Lanka would struggle to compete, especially after the thrashings inflicted on Sri Lanka by New Zealand and Australia. But some drastic moves - including dropping the captain and bringing along an inexperienced squad - paid off as Sri Lanka went on to win the series against South Africa in South Africa. That result is significant for it makes Sri Lanka the first Asian team to win a test series in South Africa, and they did so without their regular captain (Dinesh Chandimal), their most experienced player (Angelo Mathews) and without their first choice bowling attack (Dushmantha Chameera, Lahiru Kumara, and Nuwan Pradeep). South Africa's poor batting was a recurring theme throughout their series against Pakistan and continued into this series, with only Quinton de Kock, Faf du Plessis, and Aiden Markram emerging relatively unscathed. Additionally, their bowling did not reflect well upon them, especially during the first test match. Kusal Perera's innings inspired an unlikely victory at Durban. What would make stand-in captain Dimuth Karunaratne proud is that several players stood up when needed. 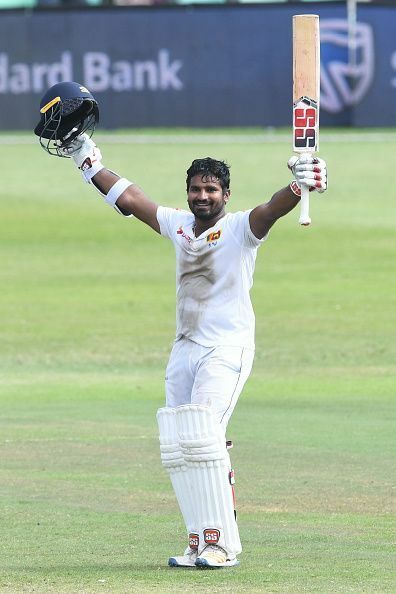 Kusal Perera shocked South Africa with his brutal innings of 153* at Durban in partnership with no.11 batsman Vishwa Fernando, who himself impressed with 8 wickets during the same match. Oshada Fernando impressed during the second test match at Port Elizabeth with 75*, while Lasith Embuldeniya took 6 wickets and was preparing to bat even though he had dislocated his thumb. Suranga Lakmal bowled consistently throughout, impressing at Port Elizabeth with 4/39, while Dhananjaya de Silva took career-best figures of 3/36 when pushed into the role of the primary spinner. Kasun Rajitha bowled well throughout the test series, taking 9 wickets at an average of 23.22. While Karunaratne himself had a poor series, he can note that the Sri Lankan team is still a competitive force to be reckoned with, and will only be strengthened by the returns of Chandimal, Mathews, Chameera, Kumara, and Pradeep. Quinton de Kock's runs gave South Africa's bowlers something to defend. South Africa's bowlers can claim to have had a good summer, bowling on pitches conducive to fast bowling at the expense of consistent runs by the batsmen. 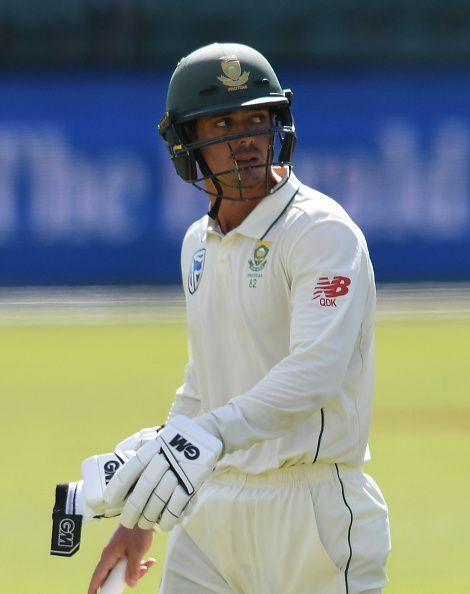 Only Quinton de Kock scored runs consistently during this series, with 222 runs at an average of 55.50 with 3 half-centuries. He did so in situations where South Africa was struggling, often dragging the team to a score that the bowlers had some chance of defending. The only other batsman of note was the captain Faf du Plessis, who scored 200 runs during the series. 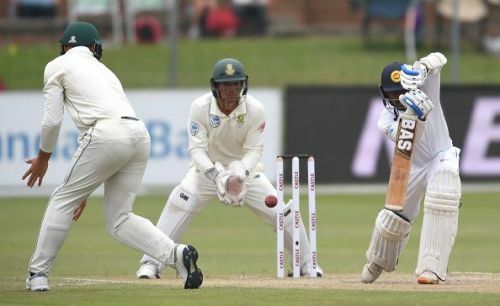 The failures of Dean Elgar, Aiden Markram, Temba Bavuma, and Hashim Amla (who also had to endure the ignominy of a golden duck) were of significant concern and raises questions about the pitches South Africa played on. While it is South Africa's prerogative to play on pitches that give their bowlers their best chance of taking wickets, to see their batsmen struggling throughout the season may lead to a change in approach. Kagiso Rabada (8 wickets), Duanne Olivier (7 wickets), and Dale Steyn (6 wickets) were their standout bowlers. Their standing would have improved had they had the required support from their batsmen during the series. Both teams do not play test cricket for a while, but Sri Lanka can look ahead with optimism while South Africa have some soul searching to do, whilst also finding a way to deal with the eventual retirements of Amla, du Plessis, and Steyn.